If it seems like every time you head out onto the roads there is more and more traffic competing for the same patch of asphalt you're not imagining it. Statistics released by the USDOT show that the interstate highway system has reached peak levels for the first half of 2015 surpassing the previous record set before the recession back in 2007. For urgent freight, trucking in general and full truckload services that means more vehicles, more competition and more attention to detail being needed than ever before to ensure your delivery arrives on time. 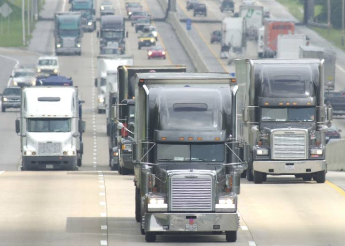 While passenger traffic is rebounding along with the overall growth, it is estimated that freight traffic is responsible for a more rapid increase over the last five years. The study shows that 1.54 Trillion (with a T) miles were driven in the first half of the year across the interstate system putting increased pressure on the infrastructure and requiring leading logistics services to help navigate your freight on time and as planned. This marks sixteen consecutive months of growth, an encouraging indicator about the economic conditions nationwide. Be warned though, the growth is likely to be a constant over the coming years with the same source projecting commercial freight traffic to boom by a massive 43 percent over the next thirty years as our population continues to grow. One step at a time is best however and we'll partner with you to provide leading full truckload services for this year and beyond, despite the traffic.